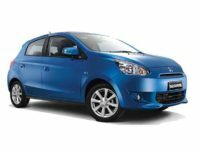 When you are thinking about leasing a Mitsubishi car, give NJ Car Leasing a try. 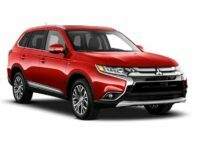 We can offer the best lease deals in the industry across the board, on all Mitsubishi models, from the elusive Lancer to the sleek crossover SUV Outlander. All Mitsubishi models are prime examples of Japanese engineering and design, and can be trusted to perform for years. NJ Car Leasing is proud to feature these cars, from sedans and coupes to larger SUVs. Even the smallest I-Miev can be had for great leasing deals with our famous customer service team, and we are thrilled to be able to help customers with these autos. We’ve built up great relationships with Mitsubishi dealers over the years, and we can now pass these benefits on to our wonderful customers, both old and new. We have any number of these varied models in stock, with varied factory options and color choices. Our lease professionals are standing by, ready to talk you through any and all options that you might have, and get you into the best Mitsubishi cars today. Give us a call today at 201-720-7316, and let our team of skilled and devoted customer service professionals get you on the road in the auto that you deserve. How can NJ Car Leasing guarantee such enviable and advantageous auto lease deals, especially on popular cars like the Mitsubishi Mirage or the powerful Outlander Sport SUV. We have the best relationships with Mitsubishi dealers, which allow us to have the best inventory in all of New Jersey. Our costs can stay low because we operate on such a large scale, while also operating largely online, which enables us to cut down on significant overhead and bring you, the customer, the best car leasing deals on the market today. A lease with NJ Car Leasing is a promise that we have done everything we can to get you the best terms possible, and we cherish the trust that our customers have in us. As a result, we take our jobs very seriously, and our customer service professionals work day and night to make sure that we are servicing every customer to the utmost of our abilities. We won’t try and upsell you or use high pressure sales tactics – we just let our auto lease deals do the talking, and they speak volumes for the quality and scale of our work! 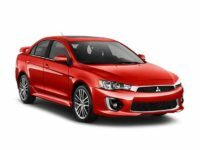 Our customers keep coming back to us because we’re the best, so if you’re in the market for a Mitsubishi Mirage G4 or even a Lancer Evolution, check out our inventory online or give us a call today. We have virtually all models in all years, and our inventory means we can provide all color and factory option choices to all customers, ensuring that the car of your dreams is within your reach here at NJ Car Leasing!